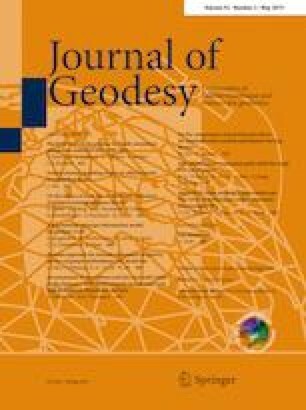 The authors would like to thank Professor Ken Alder for his effort to bring to the attention of geodesists and other professionals, the 210-year-old (as of now) geodetic mystery and for writing his very interesting and successful book. We would like to take this opportunity to express our astonishment over a complete lack of interest by the French Academy of Science to clear the reputation of its two late members, MM. Méchain and Delambre and that of its own. Last but not least, we wish to thank Professor Vermeer for bringing Nicollet’s work to our attention and a couple of anonymous reviewers for their thoughtful comments that helped very much to improve the paper. They had also driven us well beyond the point we ever wanted to go to follow-up on our thesis. After substitution back in Eq. (A4), these terms become quite complicated functions of φ1 and φ2 and we shall not show them here. We note that the first (leading) term in this equation is nothing else but a quadrant of a unit circle!